Saadiyat Beach Club is known for its pristine stretch of unspoilt beach and the private cabanas that dot its infinity pool, yet this elegant beach club nestled on Saadiyat Island is home to a selection of outstanding restaurants and lounges, one of which is Safina. 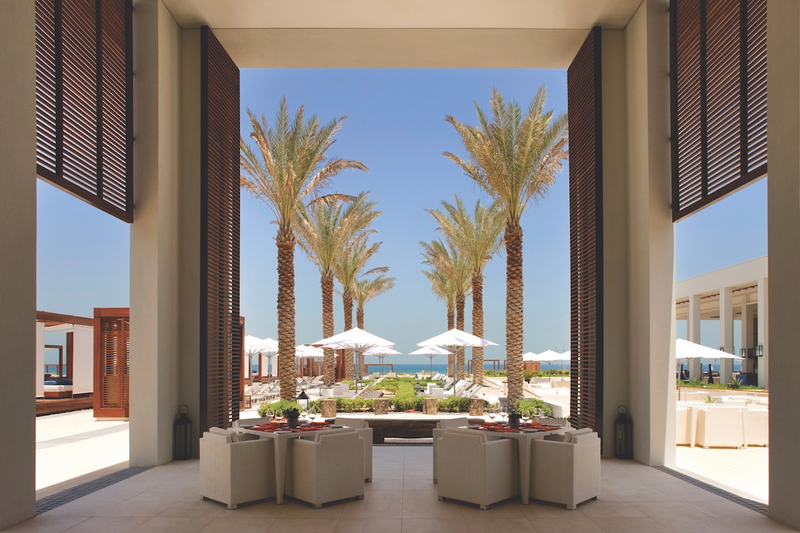 Safina is the signature spot at Saadiyat Beach Club for informal yet stylish dining. It’s Mediterranean cuisine regularly draws in crowds from both Dubai and Abu Dhabi eager to feast on its delicious fare and indulge in the famous Friday brunch. With a small, select menu of speciality dishes inspired by the French and Italian Riviera alongside the Levant, Safina is an excellent place to enjoy a bite to eat with friends of family, whether you are spending the day at the club or not. When the temperatures permit dine al fresco breathing in the salty, sea air and basking in the beauty of the surroundings and for warmer days Safina boasts an amazingly eclectic (and air-conditioned) interior, with modern lighting and nostalgic photographs dotting the rustic walls. Whet your appetite with a warmed bread basket where you can begin your meal with crusty loaves dipped in balsamic before feasting on a selection of entrees such as Pistachio Crusteed Soulard Foie Gras and delicious Flame burned red prawns served with crispy quinoa. Main courses cater for the hungry and the very hungry as well as a selection of lightly, prepared dishes for those that want to get back in the pool afterwards. The Wagyu Beef Tenderloin with Parsnip Puree and Breaded Artichokes is a real treat especially accompanied by hand-cut chips. Keeping in with the Mediterranean inspired vibe, the pastas are delicious here with the Agnolotti a firm favourite. The Mascarpone stuffed pasta is combined with a rich duck ragu, Barolo wine reduction and 24 month aged parmigaiano reggiano cheese to perfectly top it all off. A fantastically unique dish is the Sea Urchin Carbonara which is creamy and delectable on a bed of Spaghetti Chitarra. It’s easy to skip the desert when the mercury is at its height but if you have room, the Chocolate Praline is well worth the calories. A devilishly chocolately parfait with hazelnut crumble and gianduja mousse that is a dish best shared (if you can bear). As mentioned, Safina is also a chic spot for brunch, perfect for groups of friends and those with children alike. With BBQ grills, live cooking, cheese bar and dedicated corners to cuisines from around the world you won’t go hungry and it’s a great alternative to the dark and dingy brunches that we so often frequent in the basement of a five-star hotel. There is even a kid’s brunch with a dedicated area just for younger mouths alongside entertainment and a fun packed schedule of activities including face painting, games, arts and crafts amongst much more so you can relax and enjoy the stunning vista comfortable in the knowledge that the children are taken care of. Brunch is every Friday from 1-4pm and starts from AED 275 for soft drinks package and ranges up to AED 475 for bubbles. Day passes to the beach club and a combined brunch offer are also available starting from AED 490pp. Children under 6 are complimentary and those 7 years and above are priced at AED 99.